Grappa is generally thought of as firewater, 90-proof rocket fuel. The spirit, which originated in southern Italy and Sicily in the Middle Ages, has been described as the cheap and portable form of central heating for peasants. Fermented from the dregs of the wine-making process — seeds, pulp, skin and stems — it traditionally was scorned by Italians on the higher rungs of society. Grappa still packs a wallop. 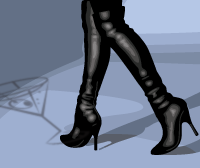 But its image has been revamped. In 1973, the Italian distiller Nonino produced the first grappa from a single grape, c, and with careful production, created a smooth liquor worthy of sipping instead of slamming. 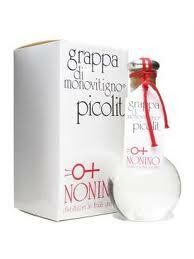 Nonino won awards for its grappa, and started making it with other single grapes, including Chardonnay and Moscato. Not unexpectedly, other producers worldwide followed suit using familiar as well as obscure grapes and blends such as Chianti. Now, grappa is showing up in cooking. Chef Kevin Appleton, of the Vom Fass store in Madison, showcased grappa and other Italian spirits in a recent cooking class. He’ll teach the class again in the fall.